​​Seattle Seahawks linebacker Shaquem Griffin had a meet-and-great with fans in Florida this weekend, and this video will definitely be one of the best things you see today. 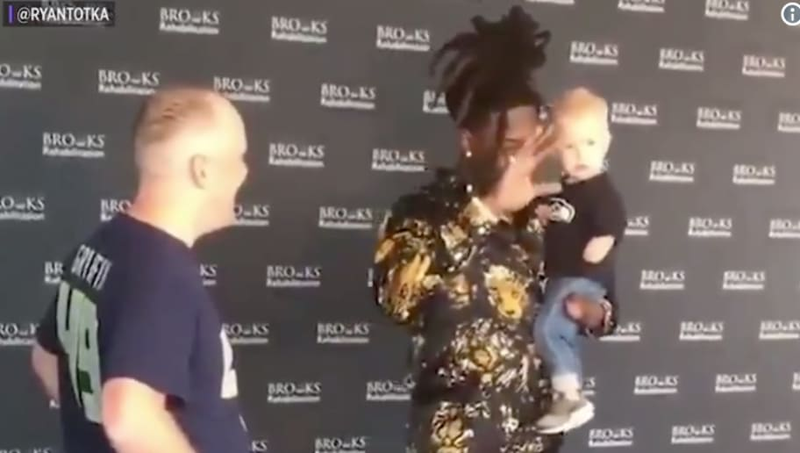 Griffin met with fans as part of an event for Brooks Rehabilitation Center in Jacksonville, an organization which mainly focuses on helping children with disabilities, like this little Seahawks fan who also has one hand. The two shared an adorable moment together and posed for a picture that the little guy and his family will never forget. Since making a name for himself in college, Griffin has been an inspiration for so many people by overcoming obstacles and making it to the NFL with only one hand. He's shown others that impossible is nothing. Continue to do the great things you do, Shaquem!